Nikhil Srivastava’s map of tree distribution. This visualization is one I came across when working on Project 3. My piece was on intimate partner violence and I was looking for ways to map or visualize 1) how frequently women are killed by men they know, especially intimate partners and 2) how proportionally that makes intimate partners so much more dangerous to women than any other person they encounter. 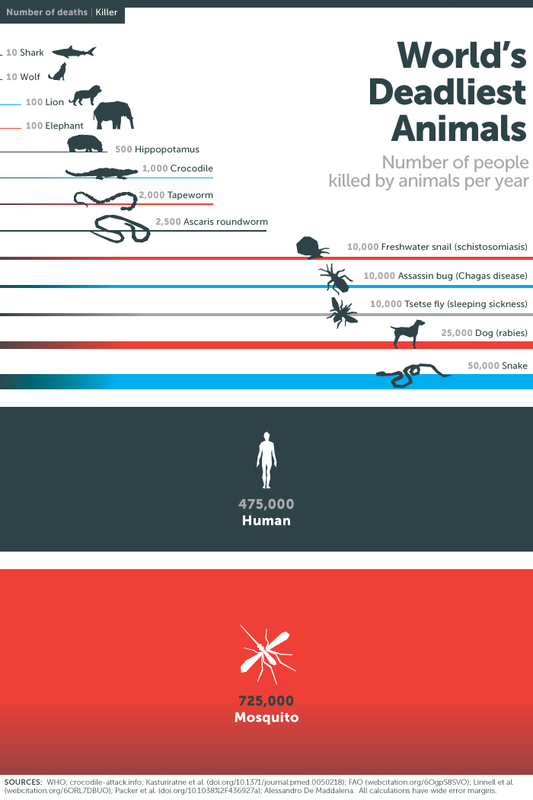 This visualization works with that proportional aspect with deadliest animals. I can’t decide if seeing human or mosquito was more off-putting, but either way the visualization has a striking effect. U of Toronto Alumni: Where Do They Go? This is another visualization I came across in my brainstorming for the final project. 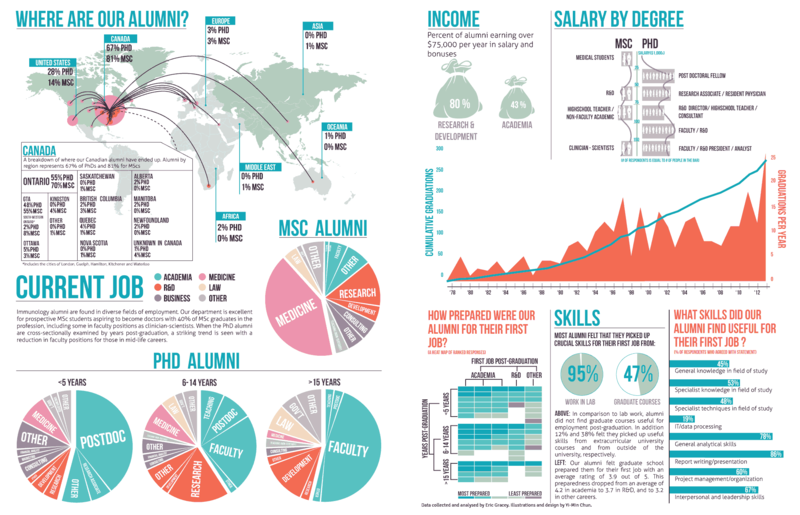 While more infographic-like in style, I really liked the map visualization showing the distance in arcs that alumni travel following graduation to work or live. Blog post on the process here! Came across this originally when I was doing visualization brainstorming for my final project. I thought it was a visually interesting way to represent two variables while throwing in a few other numbers and tidbits. More from Spanish designer Javier Arce.